Could blockchain technology be the cannabis industry’s silver bullet? Struggling with payment and banking barriers and facing heavy government regulation, cannabis industry executives are on the prowl for solutions that can make their lives easier. Blockchain, typically associated with bitcoin and the cryptocurrency phenomenon, is among the newest “solutions” being floated in the marijuana industry, with big companies such as tech giant IBM and smaller marijuana-focused companies advocating use of the technology. If the hype behind blockchain is true, it should benefit growers as a seed-to-sale tracking technology, while retailers can use it as a payment-processing device and banking solution. Solve payment and banking conundrums facing cannabis businesses by replacing conventional currency with cryptocurrency. Help marijuana companies obtain loans from cryptocurrency financiers. Improve recordkeeping: Blockchain records are immutable and harder to hack. Provide seed-to-sale tracking – a common requirement among growers and retailers in legal U.S. marijuana markets. “Blockchain technology can be used in the cannabis space the same way it can be used in any industry,” said Kevin Fortin, a cryptography expert and patent attorney with the Hoban Law Group. Blockchain is essentially a decentralized digital ledger of transactions. Each transaction, or “block,” is added to the ledger linearly, forming a chain of blocks. Before a block can be added to the chain, however, it must be verified by existing participants within the blockchain. Using it for payment solutions and banking, such as retailers. Deploying it for seed-to-sale tracking and recordkeeping, such as growers. Companies big and small are keen to combine blockchain and cannabis. Last November, for example, IBM urged the British Columbia government to use blockchain technology as a seed-to-sale tracking system for the Canadian province’s new recreational marijuana industry. Cannabium, a CBD retail company headquartered in Vancouver, British Columbia, is using blockchain technology and cryptocurrency to sell, buy and trade CBD products. Some marijuana retailers are using or looking into using cryptocurrency-based ATM machines. And entrepreneurs are starting companies with the same intention. Small wonder: A potentially disruptive technology like blockchain offers alluring opportunities. But blockchain is in many ways unknown and unproven, making it a particularly risky bet. Indeed, the technology has more than a few skeptics in the cannabis industry. 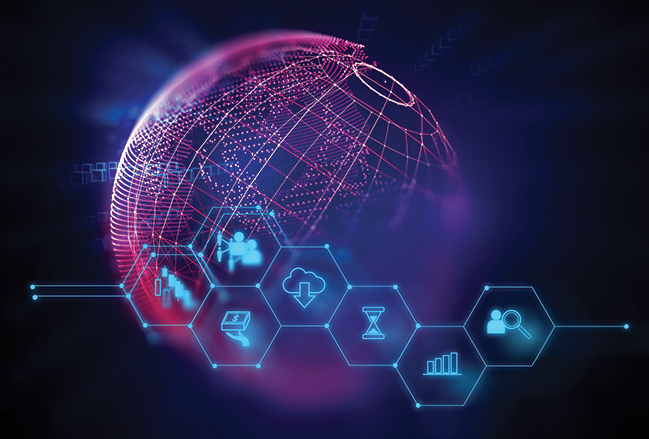 They argue that blockchain promises more than what it can deliver – and what it can offer isn’t much different than what other technologies already provide. Does that mean cannabis businesses and investors should avoid putting money into this new technology? The answer may depend on how a company applies blockchain. 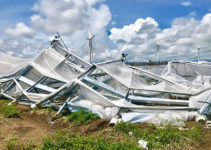 Every event or transaction can be traced, such as when a grower destroys contaminated product or ships product to a retail client, or when a customer buys cannabis. The blockchain digital ledger cannot be manipulated or changed. The data is decentralized, so the technology is much more difficult to hack. While this may seem too good to be true, some marijuana and mainstream businesses already have embraced blockchain technology. 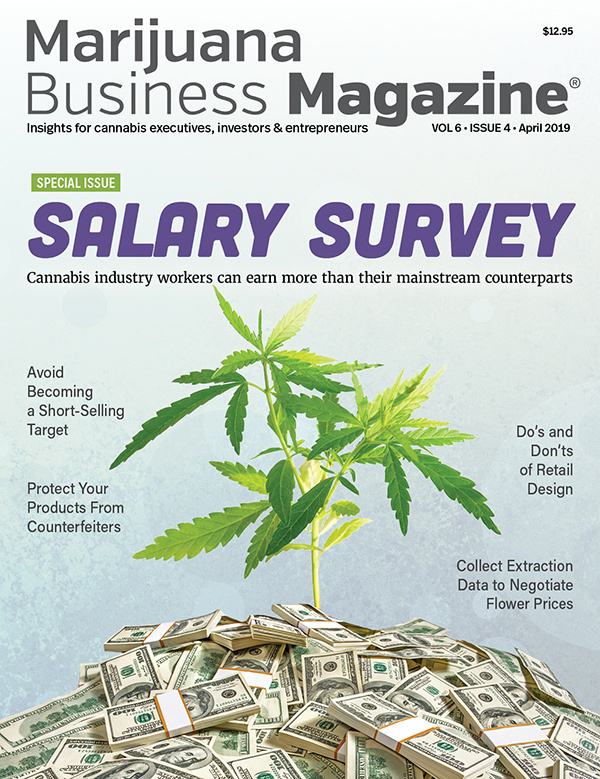 For example, the National Association of Cannabis Businesses (NACB), an advocacy and standards group, has hired a company to develop software that is expected to include blockchain technology designed to give its members – currently numbering about two dozen plant-touching and ancillary firms – with seed-to-sale and transaction-tracking capabilities, among other canna-centric applications. The NACB hopes to roll out the software early next year. A handful of cannabis retailers also have turned to blockchain for payment solutions, including the installation of bitcoin ATMs in stores. Some cannabis industry executives see blockchain and cryptocurrencies as potential solutions to the cannabis industry’s well-documented financial troubles. By replacing conventional transactions with cryptocurrency transactions, companies would have an alternative to traditional banking. It might seem that blockchain and cryptocurrencies would no longer be needed if the federal government legalizes marijuana or allows banks to serve state-legal MJ businesses. But some industry officials believe cryptocurrencies and blockchain will be the preferred payment method if and when marijuana is legalized or banks are permitted to serve cannabis businesses. The world is heading toward more financial crises, which will undermine liquidity. But businesses that employ cryptocurrencies won’t have a problem accessing that digital currency. “The companies that have understood the advantages of these crypto tokens and blockchain finance will be the companies that survive the banking changes, which are coming by next year, I think,” Fortin said. Others, however, say cryptocurrency is better left out of cannabis payment and banking, given that some criminal elements are relying on the virtual currency. The cannabis industry, by contrast, is trying to emerge from the legal shadows and become mainstream. Adding to the uncertainty of using blockchain and cryptocurrency for cannabis payment and banking solutions: Federal agencies in charge of overseeing cryptocurrencies can’t agree on how to classify these virtual currencies. “The SEC, the U.S. Commodity Futures Trading Commission, the IRS, the Treasury Department, state banking authorities, the Financial Action Task Force and foreign counterparts don’t agree on and can’t agree on what a bunch of code running on a computer server in a data center generating cryptocurrency is,” Harvey Kesner, an attorney with the Sichenzia Ross Ference Kesner law firm in New York, wrote in a white paper this year. Moreover, leveraging these technologies can be difficult. River Rock Cannabis, a business with two retail locations in Colorado, introduced a PotCoin ATM to one of its stores in early 2017. The company ditched the technology after a few months, however, because only a “handful” of customers were using it, making it more trouble than it was worth. Additionally, some of those using the system ran into “technical difficulties,” according to River Rock owner Norton Arbelaez. “It didn’t work very well,” he said. Marijuana businesses, primarily growers, are finding use for blockchain in seed-to-sale and recordkeeping. While blockchain records everything that current tracking systems do, the technology’s advocates point out that it’s harder to manipulate a decentralized digital ledger of transactions. With traditional seed-to-sale tracking, which mainstream businesses use to trace produce in case of an outbreak of E. coli or other illness, for example, it took six days to trace a mango’s origin. With blockchain, it took just two seconds. Seed-to-sale executives acknowledge that blockchain’s constancy is valuable. But they still question the technology’s value to the cannabis industry. Blockchain doesn’t replace transaction systems, according to MJ Freeway’s Billingsley. That digital ledger is valuable, she acknowledged, but it requires highly skilled programming personnel and lots of time to build. Furthermore, Billingsley argued, blockchain requires many business participants to truly work. “It does not work unless there are peers to share from and with. Blockchain does not work unless there are peers willing to host the chain and that both validate and accept changes on a peer level,” Billingsley said. And what happens when not all industry participants are involved in the blockchain? “It becomes meaningless,” Billingsley contended. Who’s Aboard the Blockchain Train? Several businesses inside and outside the cannabis industry are adopting blockchain technology. Some are offering it as a seed-to-sale tracking solution, others as a payment-processing and banking solution, and still others as both. In December 2017, MassRoots, a cannabis-focused technology company in Denver, created MassRoots Blockchain Technologies. The goal: explore how blockchain can be used in the cannabis industry and to develop seed-to-sale tracking software. According to a July 5 filing with the Securities and Exchange Commission, MassRoots hired New York City tech firm MEV to develop the software, which it hopes to unveil in late 2018 or early 2019. Cannabium, a CBD retail company headquartered in Vancouver, British Columbia, is using blockchain technology and cryptocurrency to sell, buy and trade CBD products. Cannabium created its own cryptocurrency to enable owners to buy CBD extracts. The CBD extracts are produced by One Colombia, a Colombia-based cannabis grower that partnered with Cannabium. A former vaporizer manufacturer turned diversified company offering distribution and packaging solutions for the cannabis industry, mCig, also has gotten into the blockchain game. The Jacksonville, Florida-based company turned its tech subsidiary, GigeTech, into a blockchain-specific business renamed The unit provides blockchain and cryptocurrency consulting services and develops blockchain software. Obitx has also partnered with two cryptocurrency companies: KrypNetwork, which makes cryptocurrency ATMs, and Render Payment, a cryptocurrency payment-processing company. Vancouver, British Columbia-based Liberty Leaf Holdings, a publicly traded Canadian company that has stakes in two cultivation license applicants, has partnered with boutique tech firm Blox Labs, based in Toronto, to develop Canna-Blox, a blockchain-based smart contract supply chain-management platform for the legalized marijuana industry. Emerald Health Therapeutics, a federally licensed producer in Victoria, British Columbia, and DMG Blockchain Solutions in Vancouver, British Columbia, formed a partnership called CannaChain Technologies to develop a blockchain-based seed-to-sale tracking system. In 2016, former Miss Iowa and “Amazing Race” contestant Jessica VerSteeg founded AuBox, a luxury marijuana delivery service in the San Francisco Bay Area. She followed that with Paragon, a blockchain-based ledger for the cannabis industry, and ParagonCoin, a cryptocurrency for marijuana transactions. But in January, a class-action lawsuit was filed against California-based Paragon, alleging the company spent proceeds raised in an initial coin offering (ICO) to buy real estate rather than transform the marijuana industry. An ICO is the cryptocurrency version of an initial public offering of stock. Nuvus Blockchain, a subsidiary of Nevada-based Nuvus Corp., an ancillary firm specializing in agricultural and other types of technology, is working on a comprehensive blockchain platform for the marijuana industry. To finance the effort, Nuvus is trying to raise $100 million through an ICO. Tempe, Arizona-based Alt Thirty Six, which uses the cryptocurrency Dash, has partnered with Los Angeles cannabis software company WebJoint to provide access to its digital transaction system for the marijuana-related businesses Webjoint serves in California. Greenstream, a Montreal blockchain-focused company founded in 2013, is trying to break into the cannabis sector by building a blockchain-based, supply-chain system. The GSX Pilot Project is intended to address both seed-to-sale and payment-processing challenges in the cannabis space. TheraCann International, a global cannabis business and technology firm in Calgary, Alberta, and Tokes Platform, a digital currency and software development company in Las Vegas, are developing a blockchain-based platform, TheraCannSystem, which includes seed-to-sale tracking and cryptocurrency payment features. BlockStrain Technology was born early this year, when it conducted a reverse takeover of Scorpion Resources, which had few assets and was formed to acquire other companies. In early May, BlockStrain raised $8 million (CA$10.5 million) and a few weeks later listed on the TSX Venture Exchange. The Vancouver, British Columbia-based company has secured a few clients, including licensed producer WeedMD. Outside the cannabis sector, a group that included Citibank, Goldman Sachs and P. Morgan participated in a $20 million Series A funding round for Axoni, a company developing blockchain solutions for financial institutions.